We’re not sure when the Firemens Softball league started. 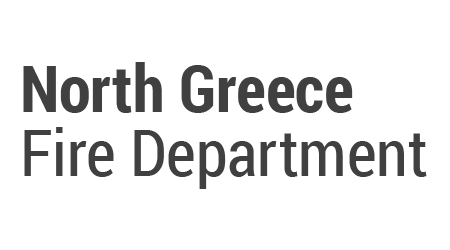 North Greece joined a league that was originally teams east of the Genesee River. Our best guess is that North Greece joined sometime between 1959 and 1962. For many years our team played their home games on a field behind the old Brook House restaurant on the corner of North Greece Road and Ridge Road. The field was later named Gears Park after Harold Shifty Gears a legendary ball player from Rochester in the past. That area now is behind Fucillo Kia. Over the years many fire department members have shown their talents both on and off the field. We were also lucky enough to win the league championship in 1981 and 1991. For many years North Greece hosted the best 2 out of 3 championship final series at our current field at the North Greece Firemens Field on Latta Road. The North Greece Fire Department softball team is always looking for anyone interested in playing on the team. 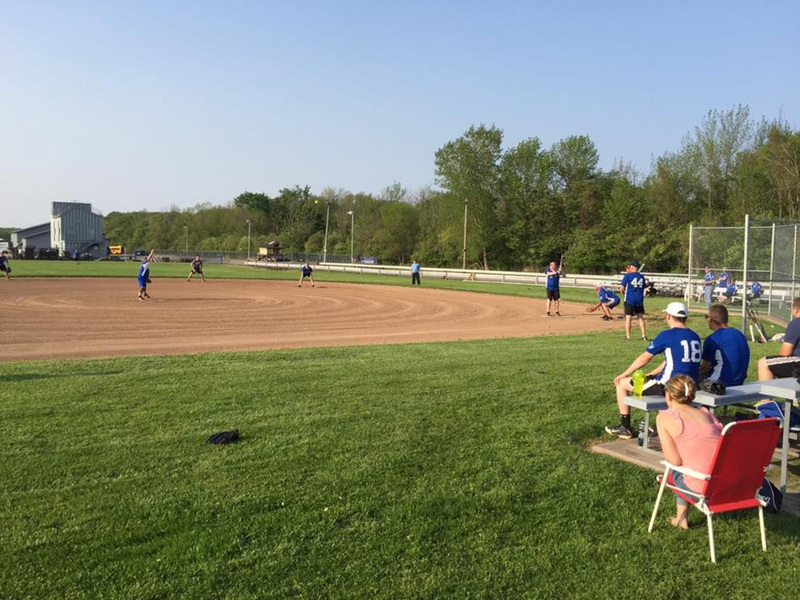 We play in the Monroe County Volunteer Firemen’s Slo­Pitch league. We play on Tuesday nights in the months of May, June and July. The playoffs are in July/August. 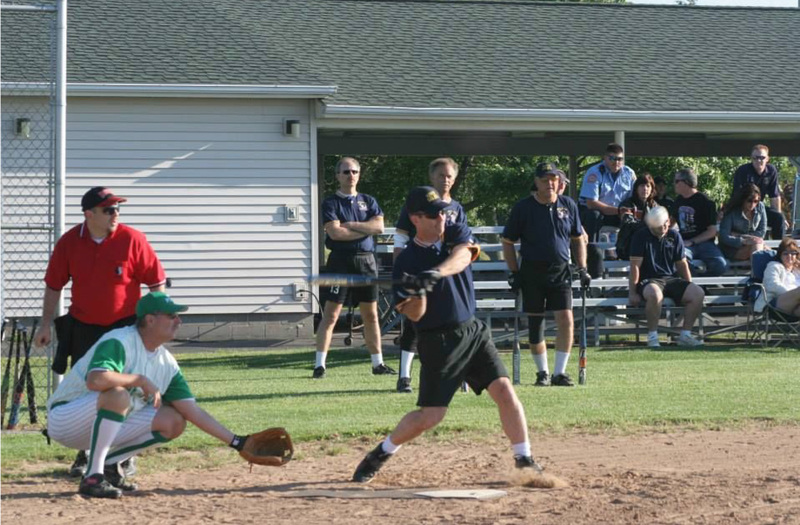 We play various other fire department softball teams in the area. The season (depending on number of teams in the league) is usually 10 to 12 games. Our home games are played at the North Greece Firemen’s Field on Latta Rd. Game times are 6:30 PM. After the games both teams get together with refreshments for socializing and camaraderie. Any active volunteer, exempt member or district employee is eligible to play.